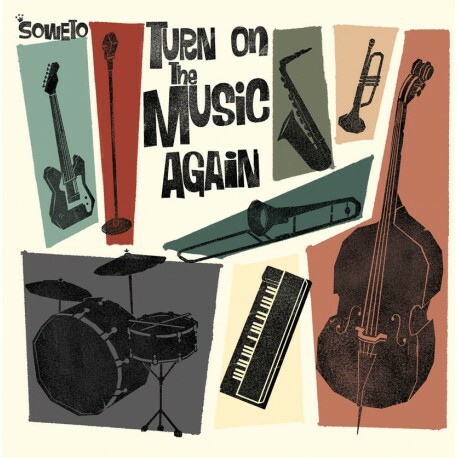 Soweto were born in 1998 in Gràcia neighborhood of Barcelona, ​​with the intention of emulating their black idols, especially the Jamaican big bands of the 60s. Their main inspiration are the original artists who emerged on the Caribbean island, precursors of the rhythms that conformed Jamaican music as we know it and love it. Soweto's music transports you to an atmosphere reminiscent of the 1960s Jamaican dance floors, where orchestras made people thrill to jazz, ska, swing and other syncopated rhythms. The works published to date by the band are a good example of the good work under study, which always tries to record, arrange and produce as was done in the Jamaican studies of the sixties. Ska and Jamaican Rhythm and Blues are the main foundation and pillars that build the band, not forgetting Rocksteady, Reggae, Soul or Jazz. Throughout all these years Soweto has shared stage with a good handful of original Jamaican artists, as well as accompanied as backing band, both on studio and live, to great legends of the Jamaican music like B.B. Seaton (The Gaylads), Winston Francis, Derrick Morgan, Dennis Alcapone, Rico Rodriguez and Roy Ellis. Live is where Soweto find themselves as fish in the water, their shows end up with a euphoric audience that always remains wanting more. They have played for almost all the Spanish geography and at many European venues and festivals. It is an honor for Soweto helping to preserve the Jamaican cultural and musical legacy of nearly sixty years ago and to keep alive the spirit of a music that was born with the independence of Jamaica in 1965. 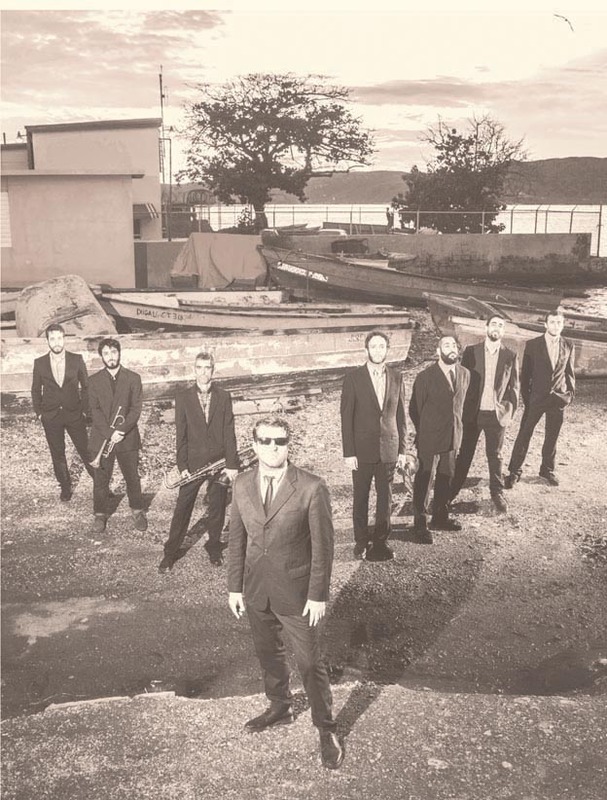 With this trajectory, Soweto has positioned themselves as one of the most emblematic bands in the European scene, and we could almost say about the world scene, after their successful participation in the 1st One World Ska & Rocksteady Music Festival in Kingston, Jamaica in 2017, chosen to take their live show together with the performances of many of their all time Jamaican idols. The festive and cheerful character of their live shows, as well as the professionalism and staging of the band, makes Soweto's live performances a perfect occasion to enjoy, dance, vibrate and much more. 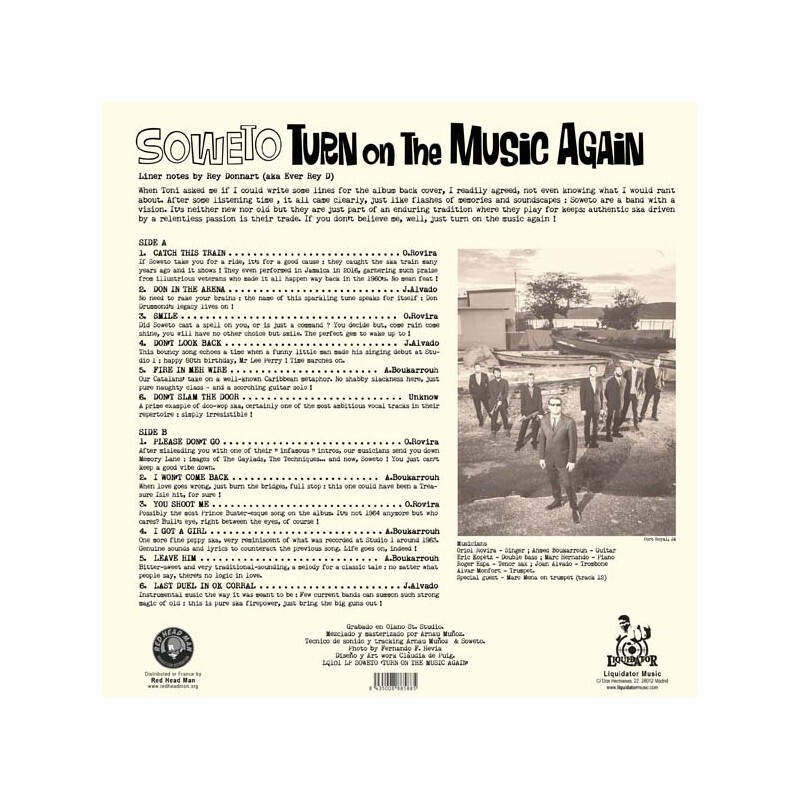 Turn On The Music Again is their third full-length album, a record composed mainly of own compositions, which they recorded just prior to their participation in the One World Ska & Rocksteady Music Festival in Jamaica. Wicked instrumentals and awesome vocal tunes compose the twelve songs of this brand new album.